As you may already know, I always like to be able to recreate store-bought foods myself. What if the world were about to end and all Nutella production ceased? No big deal because now I can make my own Nutella. After some experiments, I came up with two different recipes. One that tastes pretty darn close to the real thing, and one for my dairy-free peeps (that’s right… real Nutella has dairy in it so it’s a no-no for people with allergies or lactose intolerance.) The dairy-free version also tastes similar to the real thing, just less milky. People who prefer dark over milk chocolate would definitely prefer this variety. After some extensive “testing” of these Nutella batches I’ve decided that I like both varieties equally. Prepare hazelnut butter following directions here. Or you can buy it. If using a bar of chocolate, make sure you chop into into smaller pieces. If using chocolate chips, you are good to go. Pour the coconut milk into a saucepan and heat while stirring. Add the chocolate to the saucepan and stir until it is completely melted in the coconut milk. Stir in the icing sugar and coconut oil until the mixture is completely uniform and there are no lumps. Stir in the hazelnut butter until completely mixed. Voila! Transfer to a jar and allow it to cool. Once cool it will thicken up to a proper consistency. Either chop the chocolate into smaller chunks or use melting chips. 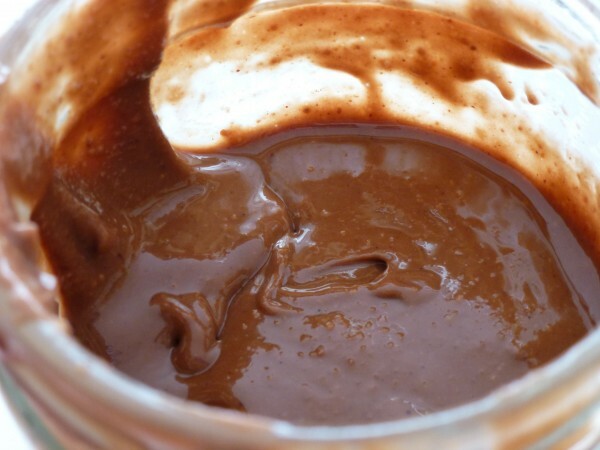 Melt the chocolate over a double boiler. Once completely melted, add the oil, cocoa powder, and icing sugar. Stir until completely uniform. Stir in the hazelnut butter, until it is mixed in completely. Transfer to a glass jar and allow to cool. It will thicken to the proper consistency once it has cooled. To speed up the cooling process, you can stick the jar in the fridge. *You can also try making this version dairy-free using vegan milk chocolate. I’ve never come across any, but I also haven’t looked very hard for it. You will notice that, particularly with the dairy-free version, some of the oil can separate out from the rest of the Nutella mixture. This will most likely happen if you mix ingredients in the wrong order or overheat the mixture. 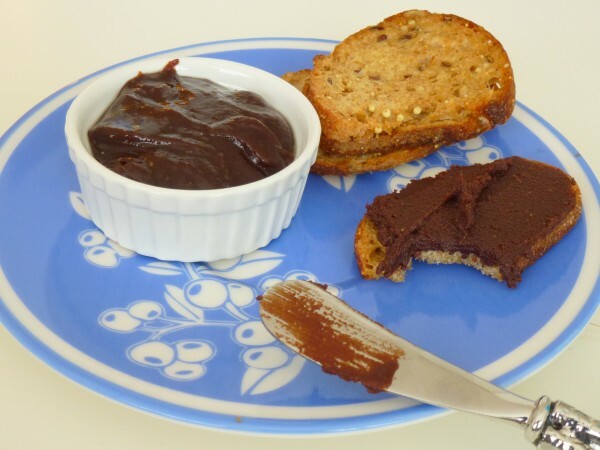 Real Nutella doesn’t separate because it contains the emulsifier soy lecithin. Emulsifiers help distribute oil throughout a mixture and prevent it from separating out. Soy lecithin is able to do this because it contains molecules called phospholipids. Phospholipid molecules are attracted to both water and oil so they can keep the two mixed together. We all know what happens when we try to mix water and oil together: the two eventually separate. Add an emulsifier and it will bind with both the water and the oil molecules so once they are mixed, they stay mixed.